If you are looking to be a healthy, injury-free runner there may only be one thing holding you back. And that is your running shoes. 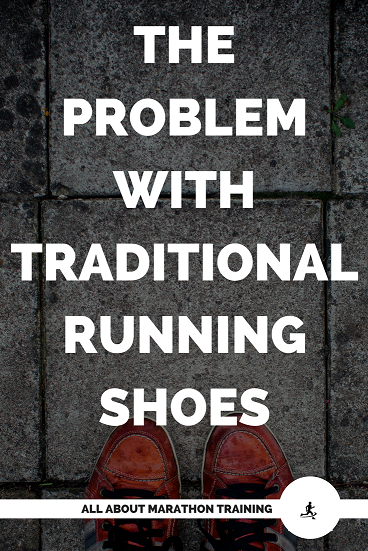 First off what do we mean when we talk about running in 'traditional' shoes? We say 'traditional' in quotes to refer to the common running shoes that have been on the market since the 1970's. These are a relatively new invention and therefore not truly 'traditional'. You know the shoes. You probably have a couple pairs of them sitting in your closet right now. They have some serious foam layer on the bottom for the sole that is stacked higher at the heel for extra cushioning which makes up the outside. The inside is comprised of a narrow toe box, an arch support and some motion-control and stability features. It looks like a pretty sweet deal, unless you are aware of how your feet would rather be "protected". 1. The biggest problem with running in 'traditional' shoes is that they diminish sensory feedback from the mechanoreceptors of the foot to the brain. These mechanoreceptors help in proprioception or notifying the body of where it is at and how it should be landing when it runs and then it adjusts our landing accordingly. However with the big cushion that is placed on the bottom of the shoes and especially at the heel, these mechanoreceptors are not allowed to functioning properly and are ultimately turned off. This therefore, decreases muscle involvement, which creates weak foot musculature which ultimately leads to injury. 2. The arch support that is found in ALL traditional running shoes is interfering with the natural movement of the arch to flatten against the ground upon contact. Manufacturers though have put a lovely little arch 'support' in to help keep your arch up. This is not how we were made to run. Upon ground contact our arch naturally tends to flatten towards the ground helping to disperse forces. What is the result of too much arch support? An alteration in the natural function of the foot and a weak arch. This leads to one of the most common running injuries: plantar fasciitis. 3. They do not allow the toes to spread out as they naturally would without shoes due to the limited room in the toe box. Upon ground impact, your toes should splay out allowing your foot to stabilize itself and to help diminish the concentration of the impact forces. Think of yourself doing a handstand. Your fingers would spread out over the ground to give you more balance and stability. 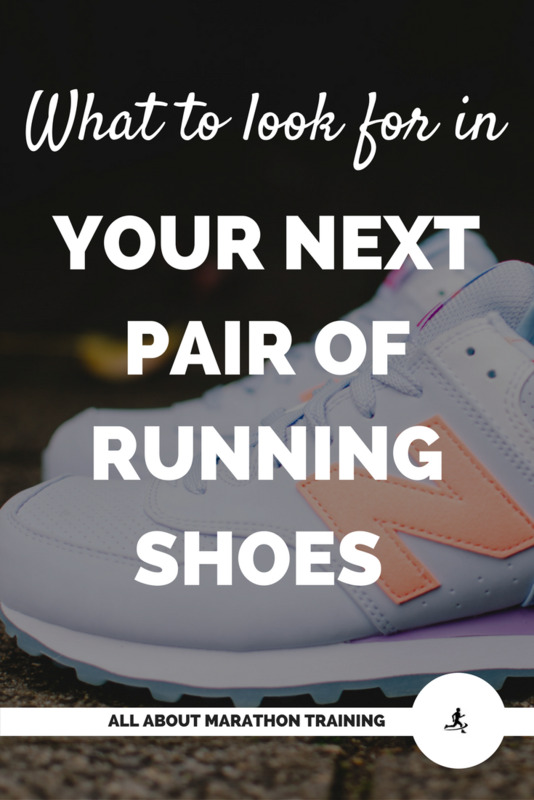 It is the same for the foot, except that in traditional running shoes, the toe box is much too small to allow the toes to properly splay out. This is especially bad news for the big toe as it is responsible for giving the foot the majority of its stabilization and balance. 4. Since your toes are undergoing a certain amount of foot binding, this foot binding ultimately pushes your big toe joint out eventually causing bunions and a lot of the time very painful bunions. Did you know that bunions are unheard of in barefoot populations? 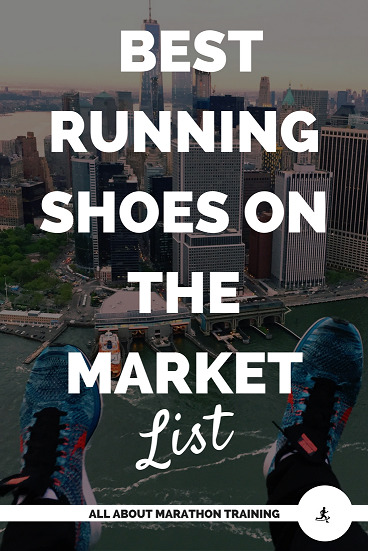 If you do notice yourself starting to develop bunions I cannot recommend enough finding a pair of minimalist running shoes and buying a set of Correct Toes spacers. They will help to spread those toes out and begin to straighten out your big toe to re-correct the bunion. 5. They do not decrease impact forces. Many 'traditional' shoes scream that they are shock-absorbing. However, many, many studies have proven that a raised heel on a shoe only increases impact from the ground. Where does the shock go? Straight up to the knee, hip and back resulting in all the most common running injuries. Think about all the women wearing high heel shoes that eventually have problems and have to give them up. It is the same with running shoes. The higher heel, besides being aesthetically pleasing, is not helping with the anatomy and strength of the foot. I love a good pump myself but for running long distances, particularly the marathon and beyond, the stress and impact forces are too repetitive and great to ignore the fact that you are at a greater risk for chronic injury and poor form. 6. The heels on running shoes contract and shorten the muscles in the back of the leg, namely the gastrocnemius and soleus muscles. This shortening of the calf muscles causes the foot and ankle to increase its pronation. This condition that is treated by prescribing even more cushioning, more motion control, more "shoe" and does not allow the foot to heel and return to its normal pre-injured state. 7. They have not reduced the number of injuries caused by high impact forces. Instead the rate of injuries have only increased. 8. 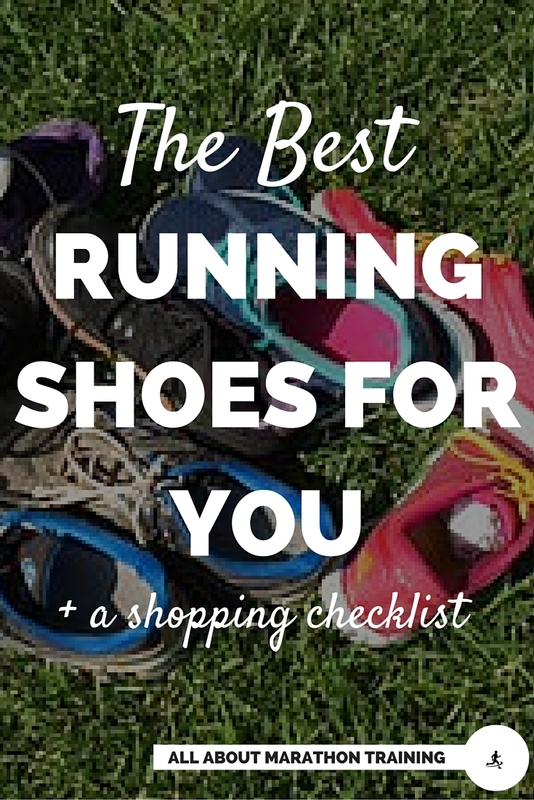 Traditional running shoes are very rigid and do not have the flexibility that the foot has. They try to 'stabilize' the foot by putting it in a shoe that tries to hold it stiff and prevent movement. This therefore hinders the foot and decreases the range of mobility thereby, once again reducing foot function and increasing the risk of injury. 9. There is a large heel to toe drop. You want to have the lowest heel to toe drop possible. In the transitioning phase you will want to work down to a 4mm toe drop to eventually a zero toe drop. Why? It helps to align your knees, hips, lower back, giving you better posture. It distributes your weight evenly, it helps you have better form which ultimately leads you to having less impact on your body. It will help bring your Achilles tendon into play, strengthening it so as to protect it more from common Achilles injuries. 1. Feet are exposed to more undesirable objects on the ground. This is why I do not suggest jumping straight into barefoot running. You need to get your feet used to sensing, feeling, adjusting and functioning as they were made to function. Remember, running shoes are a relatively knew invention. You were made to run with your natural foot form. 2. 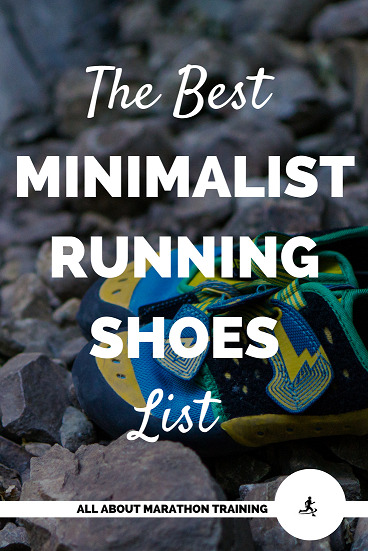 You have to build strong feet in order to be able to run with a minimalist shoe. As a runner though, who wouldn't want stronger feet? 3. It takes time to fully transition. But having an injury-free body, better form, running economy, and functionality is well worth the effort! Read our tips on transitioning here and take action with our transitioning plan.